This is the Pelican, a jet amphibious aircraft. It has not been made to reach supersonic speed. It can be seen as an up to date version of the mythic Consolidated PBY Catalina. Easy to use with a strong structure. You can land on water at speed over 80 m/s. 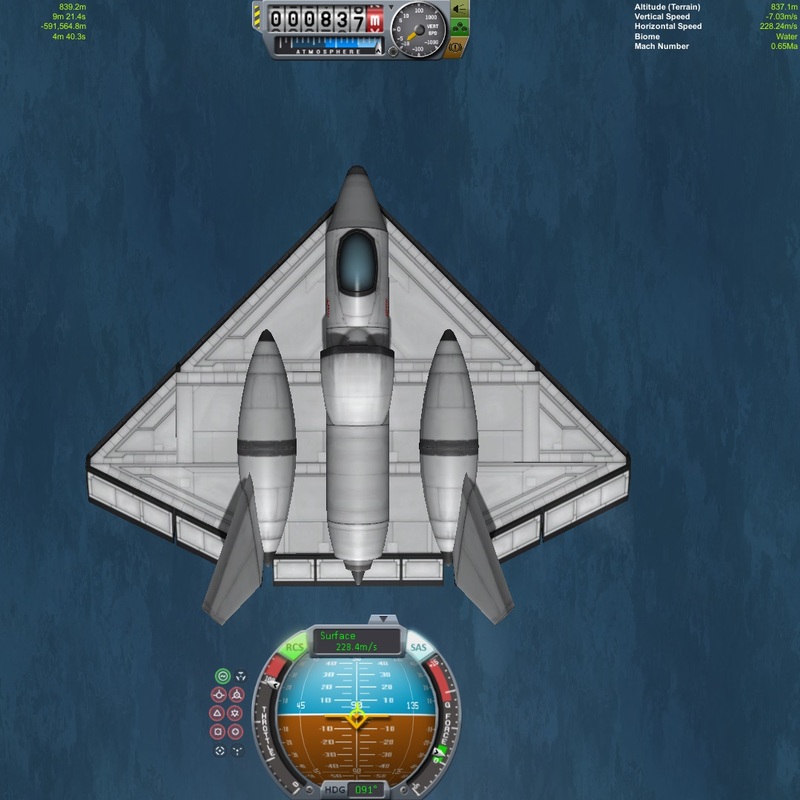 However, you can easily land on water at speed under 40 m/s. In the water, the take off speed is between 35 and 40 m/s. The winglets behave like hydrofoils in the water. Be sure to be completely stopped before trying to take off from the water. Otherwise, the SAS could behave oddly and make you spin. - Let the speed and the hydrofoils pull the nose of the Pelican out of the water. - Then, take off when you reach 40 m/s.